I am a natural born psychic, medium and remote viewer. I specialize in Love and romance, but answer life questions also. I also do dreams. If you want true honest answers give me a call. I offer true accurate readings I do not sugar coat. I communicate with my spirit guide Ann she guides me to give you the right answers. If you leave feedback please leave it for my guide Ann . I have been giving readings for over 20+ years. If you want truthful honest answers, I have them for you. Wait no longer, I have the answers you have been seeking. Please note you can leave feed back for Ann, for example, she is amazing, she is a sweet lady, she is super and amazing. These are the things she likes. Thank you for understanding, I give her all the credit. Very detailed and thorough reading! Thank you! With my special psychic gifts I am able to see into your life and tell you the true answers you have been seeking, Why walk around being confused, and feeling alone. 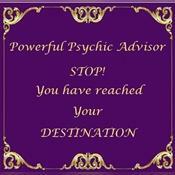 I offer true readings and advice, Give me a call if you want the truth. I will amaze you with just one reading. Pick up the phone, you will be happy you did. What are you waiting for? Advisor Terry38 has been a user of Keen since 2013. Getting Life Questions advice from Advisor Terry38 through www.keen.com is safe, secure and confidential.